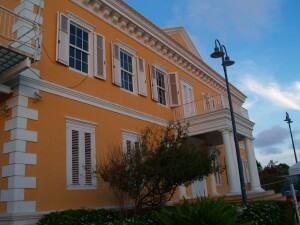 WILLEMSTAD - If the tropical storm hits the island on Thursday or Friday, the parliamentary elections could be postponed. This is according to the Chairman of the Supreme Electoral Council (SEC) Raymond Römer. According to the SEC, the elections would then take place on Saturday or Sunday, depending on the weather conditions and any damage on the island. The tropical wave that could develop into a tropical storm and possibly a hurricane is now in the middle of the Atlantic Ocean between Africa and the Caribbean. It remains to be seen whether the tropical wave becomes a more powerful system and which route it will follow. There are still different scenarios for the tropical storm, which means that it is still too early to determine whether it forms a danger for Curaçao and the other two neighboring island. Various authorities will meet today to discuss possible precautions for the island.